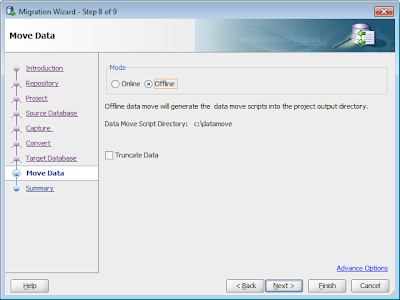 SQL Developer can move data online and offline. Online is really only for small amounts of data (<100mb). For larger sets of data with greater performance and much better logging, the Offline Data Move feature should be used. 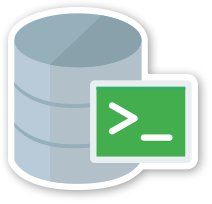 SQL Developer will create two sets of scripts. One to dump out the data using Sybase/SQL Servers BCP tool to DAT files on the disk. The second set of scripts to read the DAT files and load the data into the Oracle tables using Oracle SQL*Loader. As the scripts are just plain text files they should be inspected and can be modified to suit your needs. Because SQL Developer knows the names of all the tables and each columns name/datatype it can do a good job of defining these scripts, so very little has to be modified. 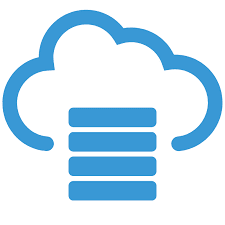 Currently there is an issue moving large Images from Sybase/SQL Server to Oracle using the offline data move scripts SQL Developer generate. But with a little change you can get them to move correctly.